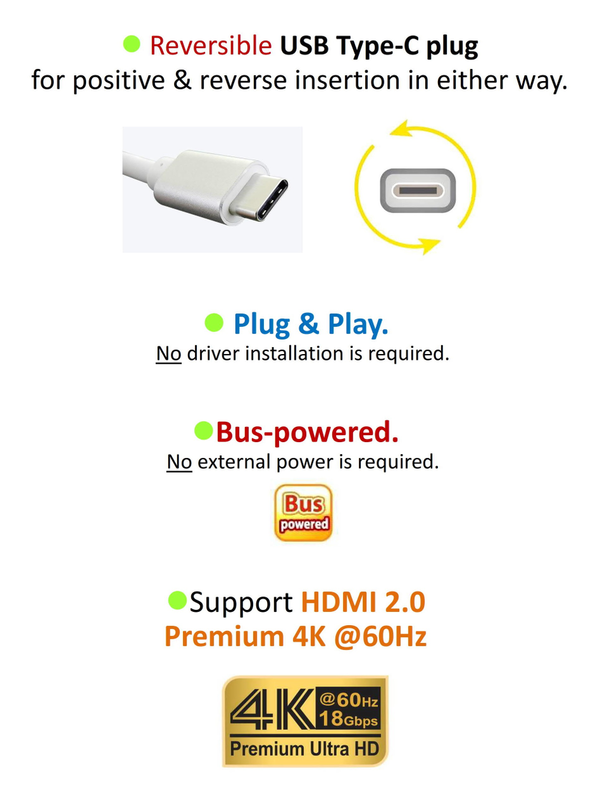 *Adapter USB3.1 Type-C to HDMI 2.0, 4K @60Hz. 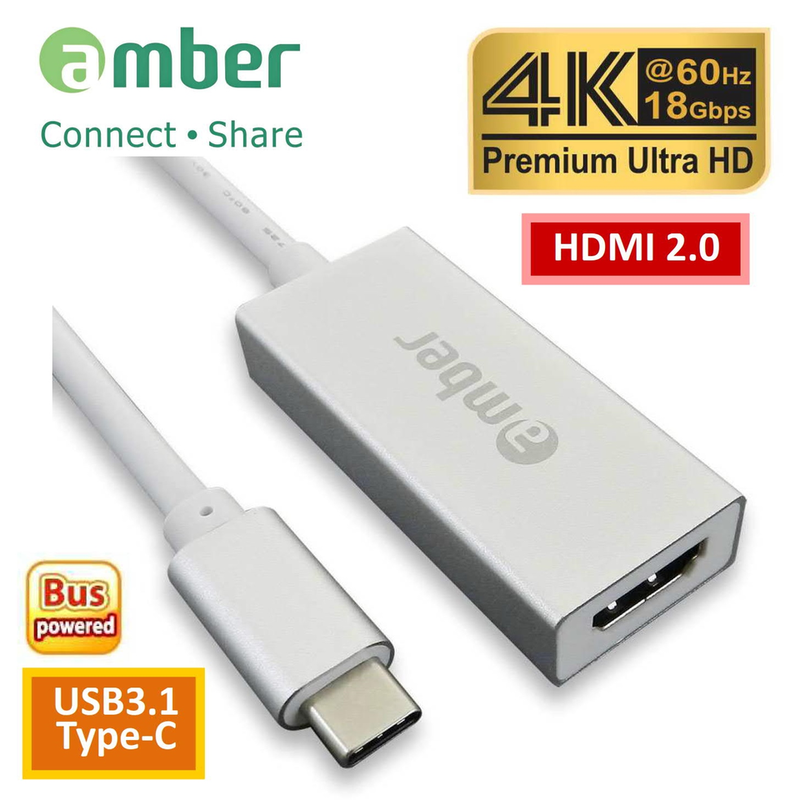 *USB3.1 Type-C male plug to HDMI A 19-pin female port. 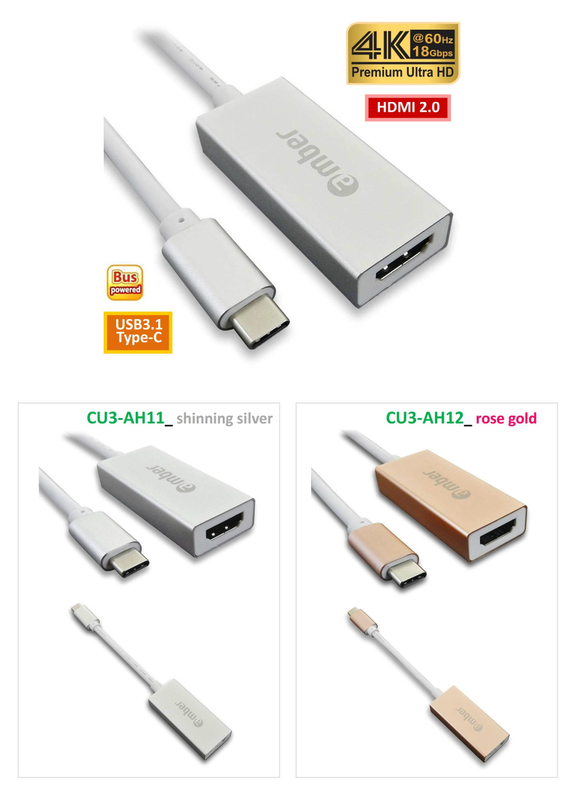 *USB 3.1 Type-C, Gen 1. 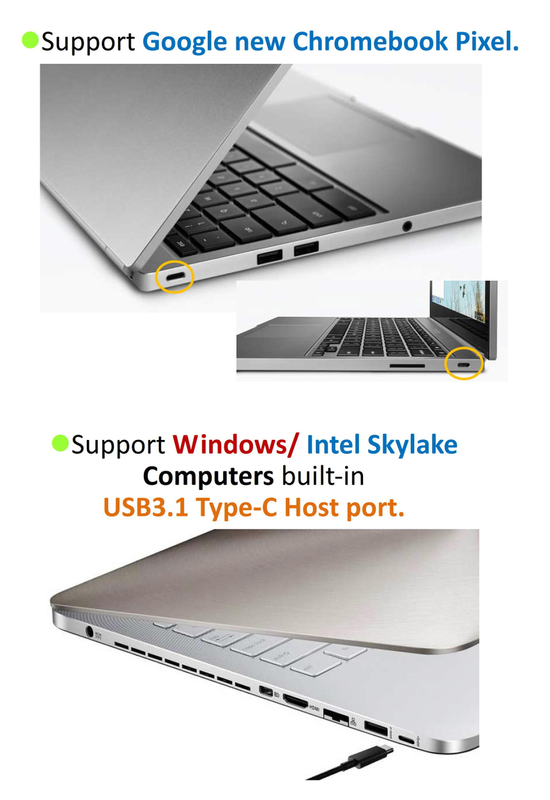 *Support Apple Macbook, Macbook Pro, Google new Chromebook Pixel, Windows Computers with Type- C Host port. 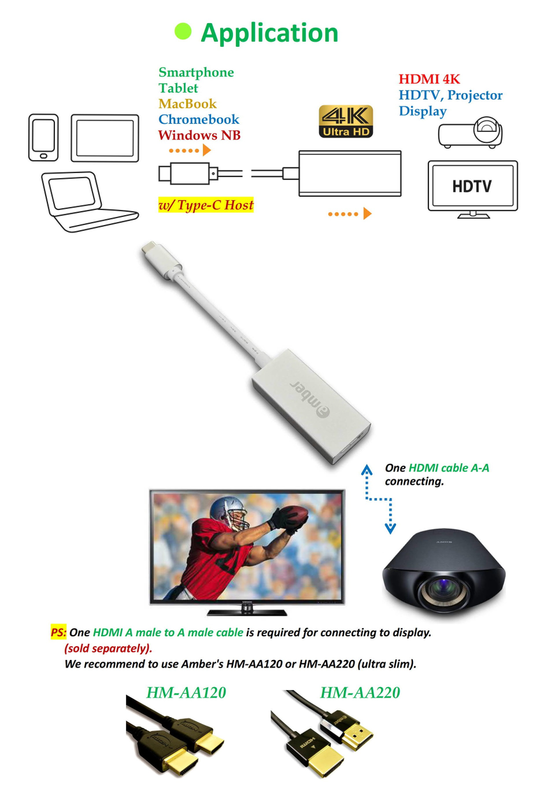 *Support digital video output up to PREMIUM 4K @60Hz Ultra HD, and backward support 1080p Full HD & 3D Full HD. 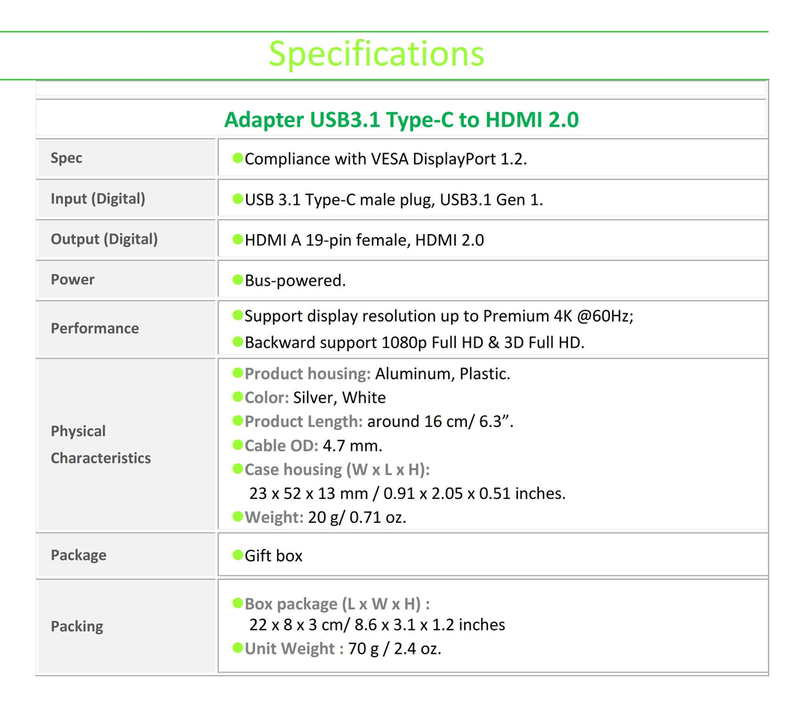 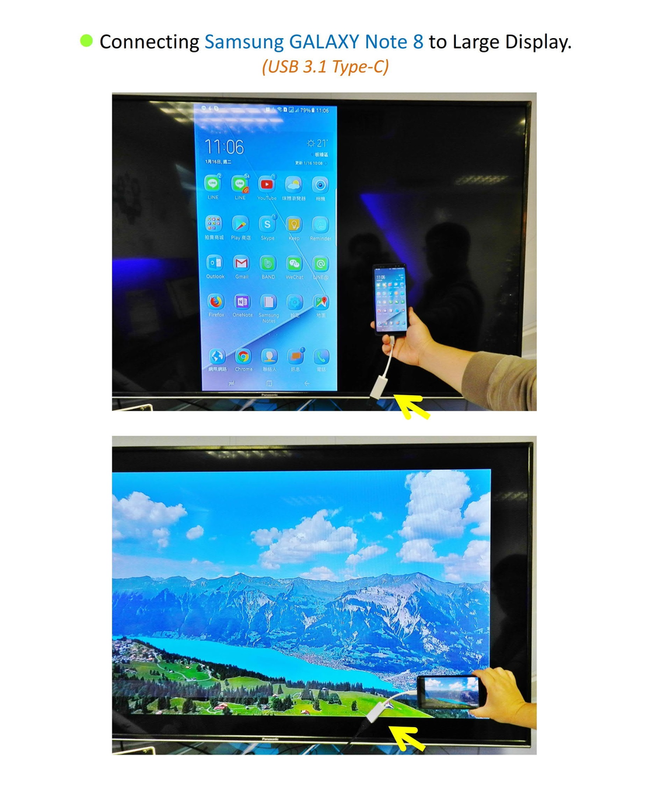 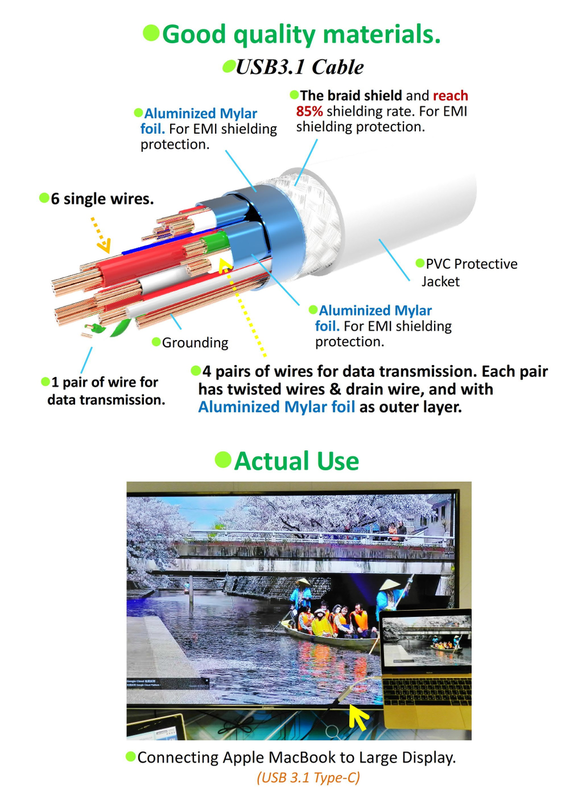 *High quality material, and high quality assembly.